Ferrari's Sebastian Vettel, Williams' Felipe Massa and Mercedes' Lewis Hamilton all call for the Italian Grand Prix to continue. 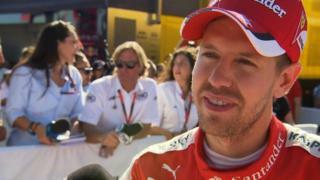 Vettel says it would be a "short-term" and "stupid" decision to not have the race at Monza on the F1 calendar. Massa says the race is a part of the "history" of the sport and Hamilton says the support for motor racing in Italy is "incredible".